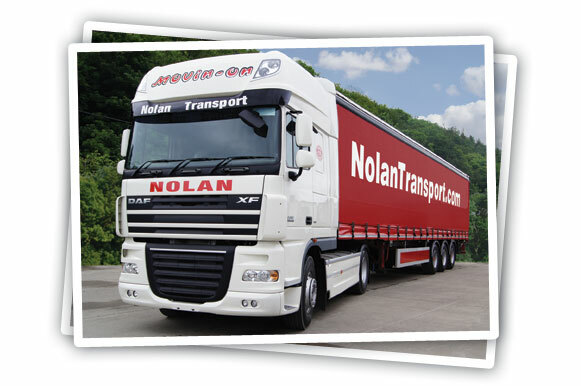 Nolan Transport owns and operates one of the largest fleets of road transport equipment throughout Europe. With over 50 years experience in the transport industry, a motivated workforce along with cutting edge technology we aim to provide our customers with a first class service and full visibility throughout the transport process. Nolan Transport - The only way to go! With our fleet of temperature controlled trailers available, we guarantee even the most sensitive of loads will reach its destination in perfect condition. Our top of the range refrigerated units can be set at any temperature between +30 and -30 degrees Celsius, so we can carry anything from food and drink to pharmaceuticals. Our in-house IT department (Ntec) consists of a number of IT Technicians, Engineers, Software Developers and Interactive Designers. With this wide array of skills we are able to give both our operators and customers a user-friendly and technically efficient experience when using our custom built software applications. The NolanTransport.com Fleet consists of more than 450 tractor units and over 1200 trailers. With ambient and temperature controlled trailers available, we guarantee even the most sensitive ofloads will reach its destination in perfect condition. First Class, no question there. You have never let me down in 15 months, can’t beat that! It has been outstanding. This was an extremely time sensitive project with onerous financial implications and transport was a worry for me. No stress, no hassle and on time… Well Done ! !